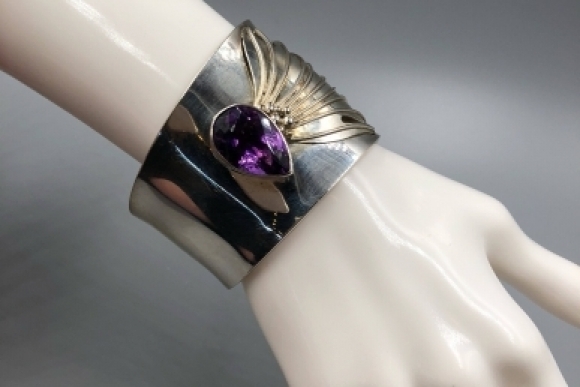 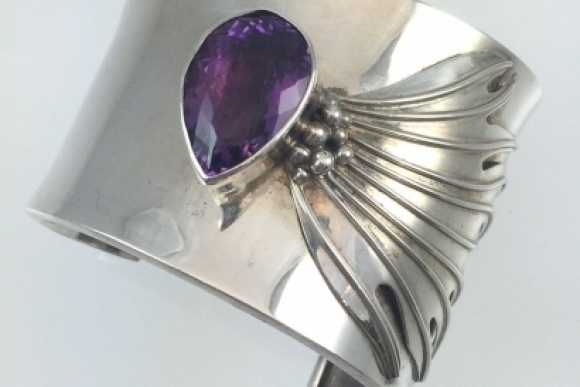 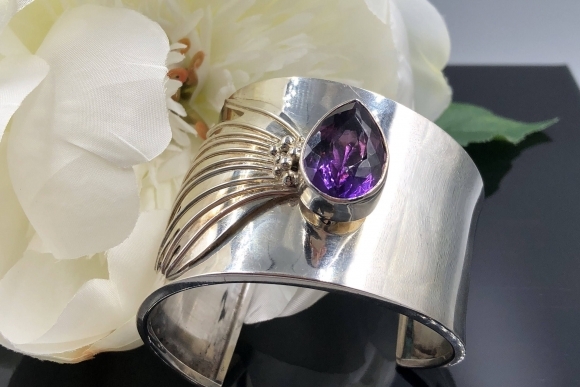 Artisan crafted by Carol Felley of Albuquerque New Mexico, this beautifully distinctive and rare asymmetrical sterling silver cuff bracelet is bezel set with a large faceted teardrop amethyst measuring 20.5mm by 14.5mm for an estimated weight of 20 carats. 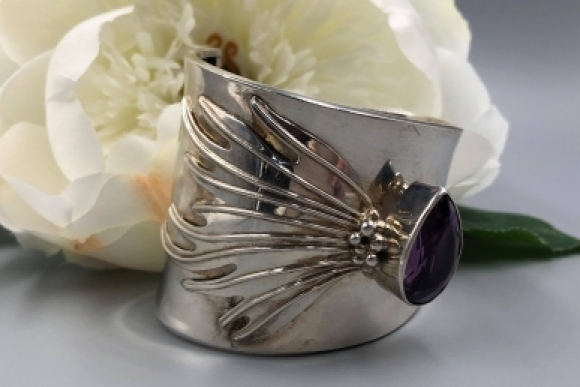 Accenting the cuff are applied silver balls and a winged flume. 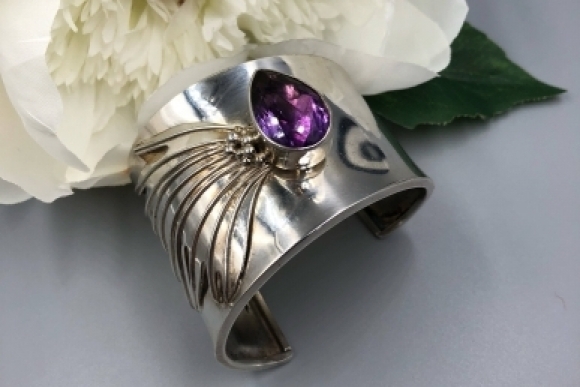 Simply fabulous!!! 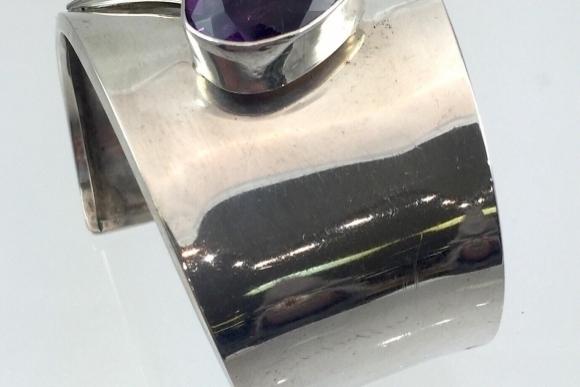 The long flared end measures 2 1/4" and the shorter end measures 1 1/4". 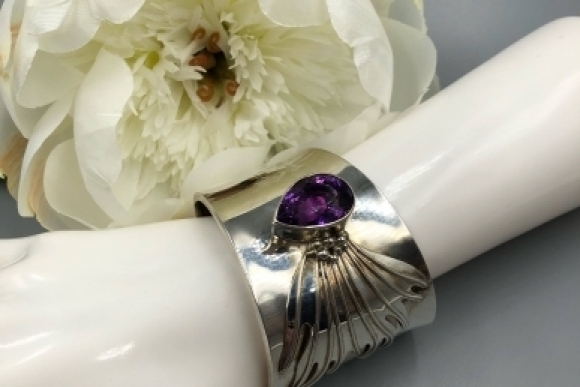 The inside diameter is 2" by 2 1/4". 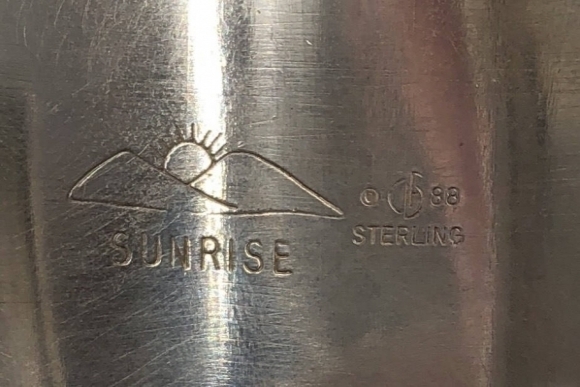 The opening measures 1 3/8". 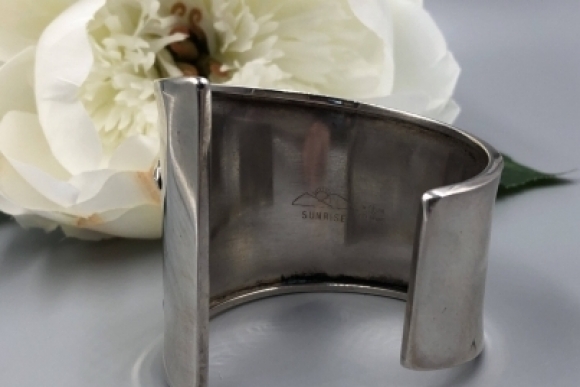 The cuff has a circumference of 6 1/2". 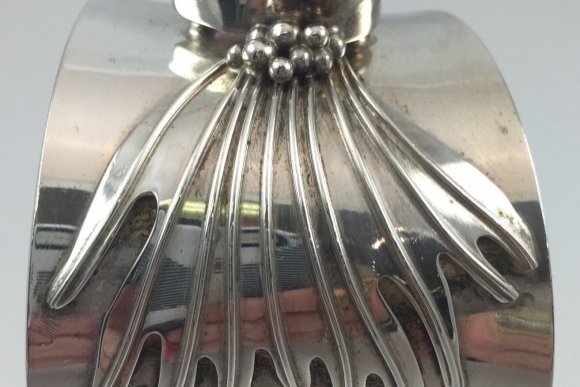 Very good condition, with wear, patina and oxidation in keeping with its age.